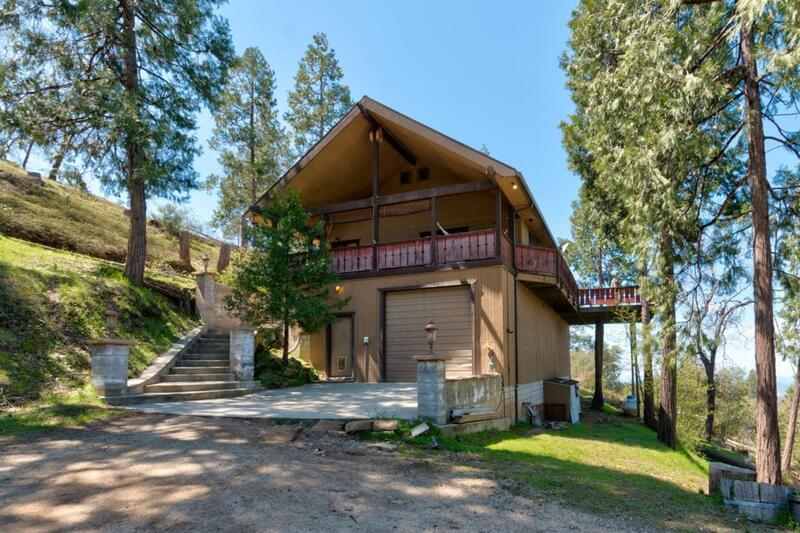 You will immediately feel at peace when you drive up to this property, located in the Sierra Nevadas, nearby national parks and a quick drive to Shaver Lake. Sellers enjoyed some beautiful snowfall this past winter, and they hate to let it go! 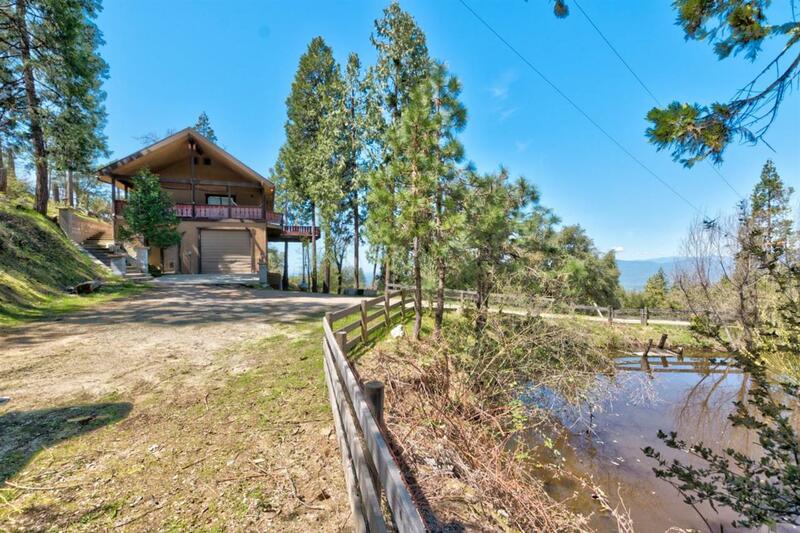 The road drives you past the pond on property, and you'll be blown away when you see the house! Walk up the concrete stairway entrace, and you'll be able to see the wood decking as you work you way up. Enter the door, and you'll find newer plank style tile flooring. Spiral staircase leads to a loft, suitable as an office, extra sleeping area, or play area. The kitchen features granite countertops, a subway tile backsplash, and a window facing a beautiful view outdoors! 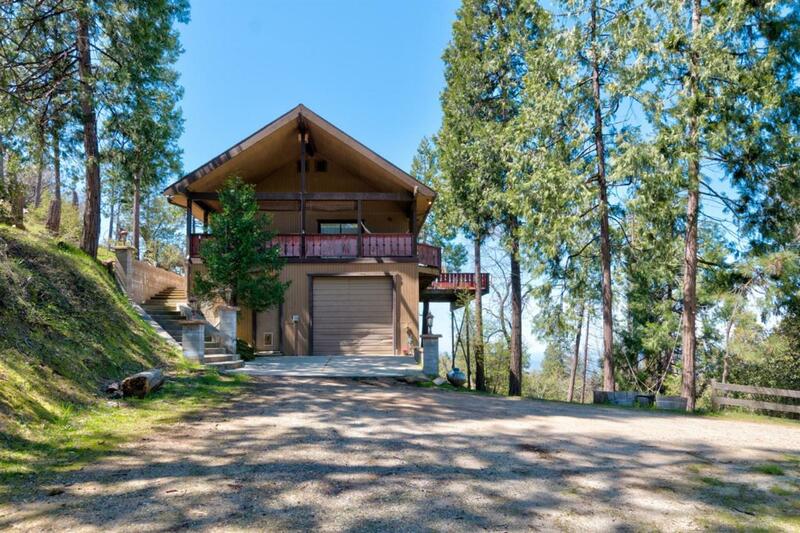 The 3 bedrooms on main floor are nice sized, and master features a private bathroom. Downstairs studio has multi-uses, and has it's own bathroom! 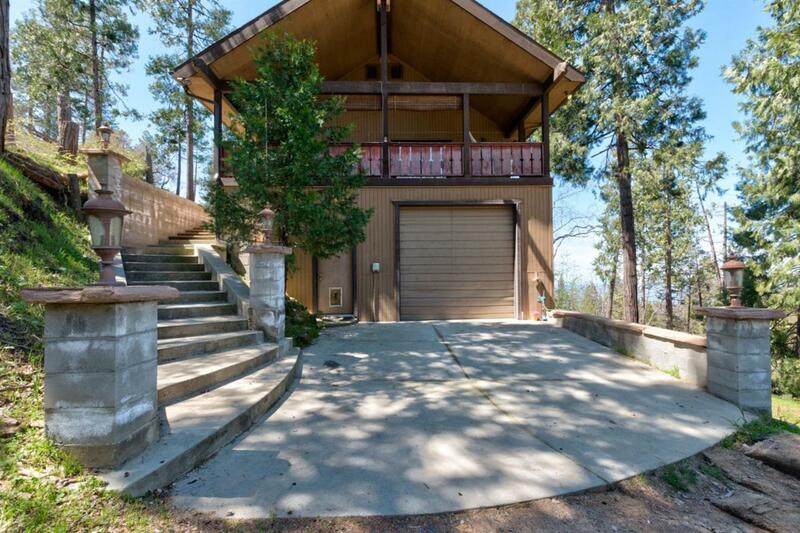 Garage is extra large with 16' ceilings, and includes a shop area and built-in storage cabinets. Approximately 4,000 feet elevation!